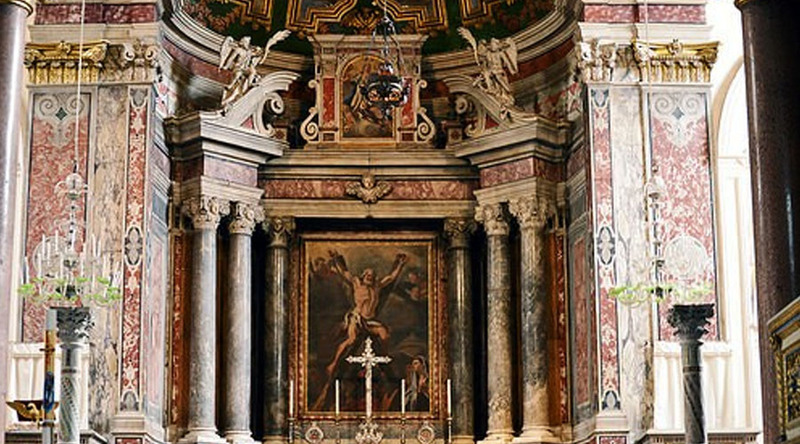 The church of Santa Maria Assunta is located right in the center of Positano, in the small Flavio Gioia square. With its decorative, colourful, dome of Vietri maiolica (tiles), the church is a typical example of the architecture found in this beautiful area. The church is divided into three "navate" which are decorated with stucco, and gold ornamentation. Inside the church there is a collection of important works of art, like the "Circoncisione" by Fabrizio Santafede (from the end of 600), and the famous Byzantine wooden panel, depicting the Virgin Mary and Her Child. The town's name Positano (which means "put it there" in latin), derives from the story of this panel.